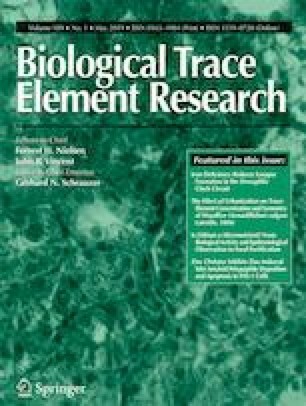 Lead (Pb) exposure is a global environmental problem and its exposure can lead to serious renal damage by disturbing the pro-oxidant/antioxidant balance and facilitating inflammation. Chlorogenic acid (CGA) is one of the most abundant polyphenols in the diet and has been reported to have many biological properties such as antioxidant and anti-inflammatory. In this study, we aimed to investigate the protective efficacy and mechanism of CGA against Pb-induced nephrotoxicity in mice. The results showed that CGA inhibited Pb-induced bodyweight loss, reduced kidney coefficients, and alleviated renal function and structure. Exploration on the potential mechanism demonstrated that CGA suppressed Pb-induced inflammation in the kidney by regulating NF-κB pathway activation. Furthermore, CGA significantly increased Pb-induced reduction in the activity of SOD and GSH-Px, and reduced Pb-induced increase in the content of MDA. The expression of Bax and Bcl-2 associated with apoptosis was also significantly regulated by CGA. These data indicated that CGA may play a potential treatment strategy for Pb toxicity. This work was supported by a grant from the Health Special Project of Jilin Provincial Finance Department (no. 3D5178963428) and Jilin Province Direct Health Special Project (no. 2016swszx017).